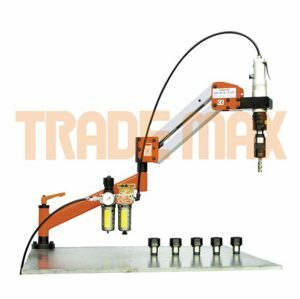 The A50TNCB bending machine is a 50mm (2″), single axis, semi-automatic tube and pipe mandrel bending machine. 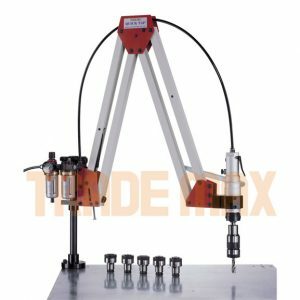 It is suitable for a variety of applications in a multitude of industries. Furthermore this machine is available ex stock from our Brisbane facility. Also the advertised price includes GST, however, it does not include freight. 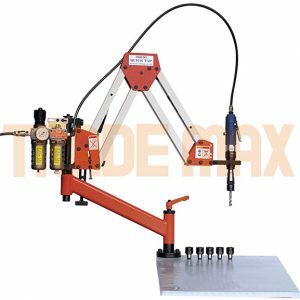 The A50TNCB bending machine is a tube and pipe mandrel bender in a single axis, single stack configuration. 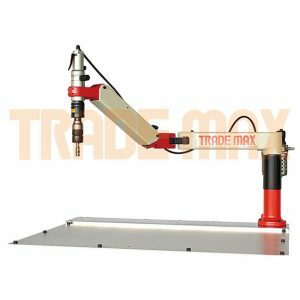 Furthermore it is an excellent machine for bending simple, low volume (1-50 pieces) with single or multiple-bends per products. It is especially relevant to note that with its compact design using little floor space, customers will find the A50TNCB bending machine suitable for bending handrails, gates, automotive parts, hydraulic lines, exhaust systems and many other tube bending applications. Furthermore the A50TNCB bending machine comes with anticipated mandrel retraction. The pedestal mounted NC touch screen controller is designed for simple operation, and allows customers to program multiple bend angles in a single tube or pipe. 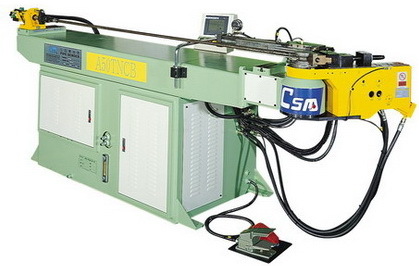 Also the A50TNCB bending machine is available in both right-hand (standard) and left-hand configurations. A noteworthy point is that with its entry level price, the A50TNCB bending machine is an excellent choice for a business replacing an existing machine, or a business that has been thinking about doing their own bending. 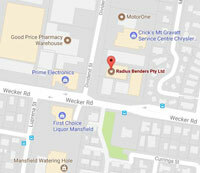 Finally if there any further questions about the suitability of this machine for your purpose, the staff at Radius Benders, will be happy to assist you.